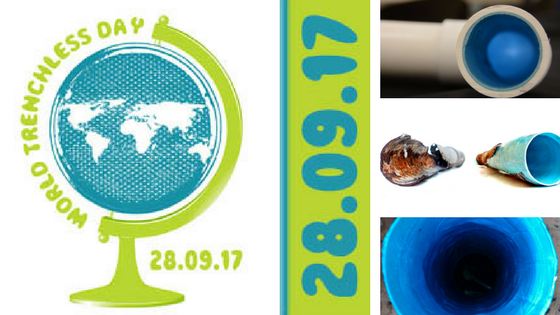 World Trenchless Day is taking place September 28. Here at Nu Flow, we will be celebrating World Trenchless Day and Nu Flow trenchless technology that allow homeowners, municipal buildings and industrial buildings the opportunity to line their pipes without destroying expensive drywall, concrete and landscaping as well as other building and property features. Trenchless technology or the ability to rehabilitate underground pipes without digging trenches has been around since the 1970s. Trenchless plumbing technology encompasses pipe lining, pipe bursting, horizontal drilling and Direct Pipe Method as well as any other no-dig pipe installation and rehabilitation method. The very first underground pipe liner was inserted in England in 1971. It was quickly followed with the Horizontal Directional Drilling (HDD) of a gas line located under the Pajaro River in California. In 1981, the first patents for pipe bursting were submitted by British Gas and DJ Ryan. In 1985, the first No-Dig conference was held in London to promote the advancements of the technology. The very next year, the International Society of Trenchless Technology (ISTT) was established. 1990 and 1991 saw the establishment of the North American Society of Trenchless Technology (NASTT), Gulf Coast Trenchless Technology Center in Houston, Australian Society for Trenchless Technology and the German Society of Trenchless Technology. In 1991, North America held its first No-Dig Conference in Kansas City. In 1992, Trenchless Technology Magazine publishes their first issue, and they begin annual awards for trenchless technology projects of the year. In 2005, Dr. Mo Najati publishes the first textbook on trenchless technology. ASCE writes and publishes their first book for the Manual Practice on Pipeline Design for Installation by Horizontal Directional Drilling (HDD), and the NASTT writes and publishes a book on guidelines for pipe bursting. In 2008, ASCE publishes a comprehensive manual on Pipe Ramming Projects, and in, 2009, the second International ICPTT Conference on pipelines and trenchless technology is held in Shanghai. In 2011, Florida sees the very first installation of a 705-foot, 30-inch natural gas pipeline under Highway 70 using the Direct Pipe Method. In 2017, the Pipeline Condition Assessment Manual of Practice is Published by ASCE, and the Global Best Project Award is won for the Abu Hamour Surface and Groundwater Drainage Tunnel in Qatar. 2017 is also the year of trenchless technologies in the Americas. In addition to World Trenchless Day, the Trenchless World Congress is being held in Medellin, Columbia from September 25 to September 27. Trenchless Technology Magazine will be hosting a Web Seminar entitled “Big Reveal: 2017 Trenchless Technology Projects of the Year.” You can also read more about the history of trenchless technology with CDM Smith’s interactive Timeline, which has been updated to reflect the recent advancements and educational materials available in 2017. Here at Nu Flow, we strive to create custom pipe lining solutions for homeowners and businesses in Chicago. Recently, we completed a pipe lining and replacement for a homeowner in Riverwood. The homeowners called us to talk about their numerous slab leaks over the course of the last 12 months. When our pipe lining technicians and plumbers inspected the home, they found several underground slab leaks and more leaks in the walls of the home. After some discussion, we decided to line the pipes located in their concrete foundation and replace the copper pipes in their walls. This custom, dual solution ensured that the homeowners would not experience any more leaks in the near or distant future. 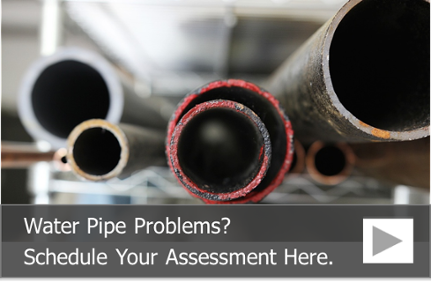 To learn more about how our trenchless pipe lining can help rehabilitate your residential, commercial or municipal plumbing pipes and to schedule a building pipe assessment, call us at 815-790-9000.